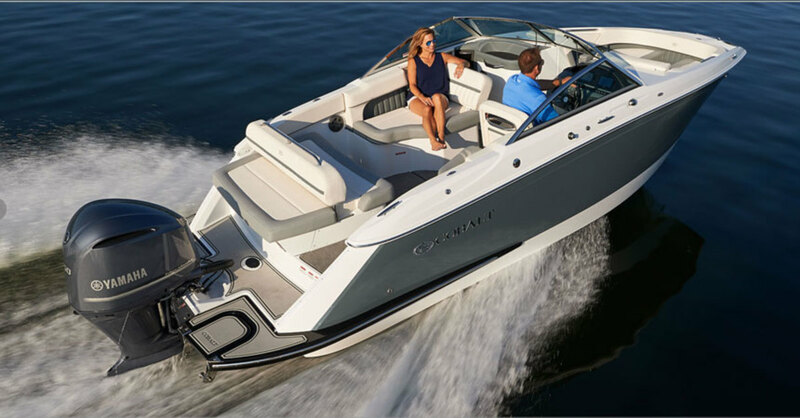 Cobalt says the Model 23SC offers the quality found in its larger boats in an outboard-powered bowrider. Cobalt Boats introduced its first 23-foot outboard, the Model 23SC, to offer first-time buyers and occasional boaters seeking higher quality and reliability the same level of construction, performance and attention to detail offered in its larger boats. The Model 23SC’s helm features dual Garmin 7607 chartplotters with a glass screen and an interior design that reclaims up to 12 inches of interior beam space, along with additional square footage, and provides bow seating for up to 12 adults. Construction highlights include an all-composite transom, fiberglass stringers and Kevlar reinforcement. The Model 23SC’s outboard-specific hull has also been engineered to withstand the greater stress inherent with high-performance outboard motors, and comes with a 10-year structural warranty. The Model 23SC is also equipped with standard features such as a captain’s seat with a flip-up bolster; cushioned storage lids with double-knuckled hinges; extended running surfaces; an integrated bow eye and scuff plate; a bow walk-through door; an aft passageway and standard flip-up step for boarding; and a Porta Potti. The Model 23SC offers more than 50 comfort options ranging from a powered captain’s chair, an upgraded bimini top and sea grass floor coverings, plus an array of lighting, sound, entertainment and engine choices. The Model 23SC is currently in production and is available through Cobalt’s dealer network.